Scottsdale drivers understand that having a vehicle like the 2018 Jaguar F-PACE means having a vehicle that forces heads to turn. That’s because the exterior of this model focuses completely on unique style and versatility features that deliver a sense of accomplishment and superiority against everything else on the roadways. Learn more about the Jaguar F-PACE exterior below and see why you need to bring one home today. If there’s one thing Jaguar did right when building this impressive new model, it was packing it with all the stylish features you could ever want. The exterior of your new model doesn’t just deliver a vast sense of style, but also gives you the confidence you need to know you and your passengers are safe. 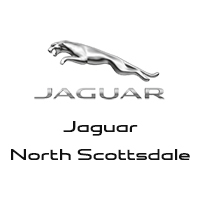 Getting to explore the 2018 Jaguar F-PACE exterior is something you’ll definitely want to do, and it’s best done by visiting Jaguar North Scottsdale, which is located at 18100 N Scottsdale in Phoenix, AZ. Come visit us today to see our inventory, or contact us at (855) 559-3222 to find out more about any of our current offers.